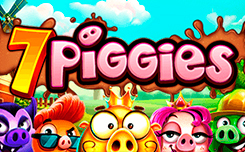 Recently, Pragmatic play company released a new slot called 7 Piggies. 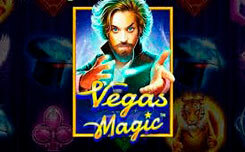 The new game has five reels, seven winning lines and a free spin game bonus, with an additional multiplier of the winning combination. 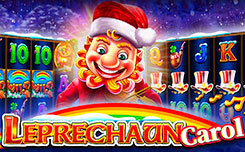 The game starts on any device with a minimum bet of 0.07 EUR / USD, which will allow you to play a new slot even with a minimum balance. Speaking of design, slot 7 piggies is made in the standard style, with the exception of design. The game screen is located on the background of the farm, and on the game drums are the heroes of the slot in the form of swine. Cheaper characters are symbols – blue, yellow and purple pig. More expensive symbols are a pink and green piglet. The top symbol is the golden piglet, it also carries a wild symbol function and can complement any game combination, thereby improving your winnings. 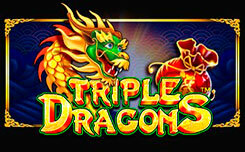 The function free spins is activated when at least three scatter symbols appear in the form of a wooden shed. 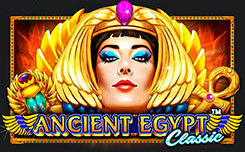 Initially, you will receive 5 free spins with a multiplier of x1, however, by clicking on scatter symbols, you can increase your chances and win additional rotations, or increase the multiplier of the winning combination to 5x. The more scatter in the main game, the more options for selection, 3 scatters – 3 attempts, 4 scatters – 4 attempts, 5 scatters – 5 attempts respectively.